Lost Map turns 5, returns to Green Man Festival! Look at us, in that photo, above. JUST LOOK AT US. So fresh faced. That was our "primary 1 school photo", taken at Green Man Festival in 2013, where Lost Map was officially born on the 16th August. What a weekend that was! It’s 2018, now… and our 5th birthday is this summer - what better way to spend it, than by returning to the Brecon Beacons? YES. Green Man have invited Lost Map to celebrate our 5th birthday! Pictish Trail, BAS JAN, Ed Dowie will all be representing Lost Map at this year’s bash, with separate sets, alongside some Lost Map DJs … and, sweet jebus, LM graduate Seamus Fogarty is gonna be performing over the weekend too. It’s going to be emotional, folks. 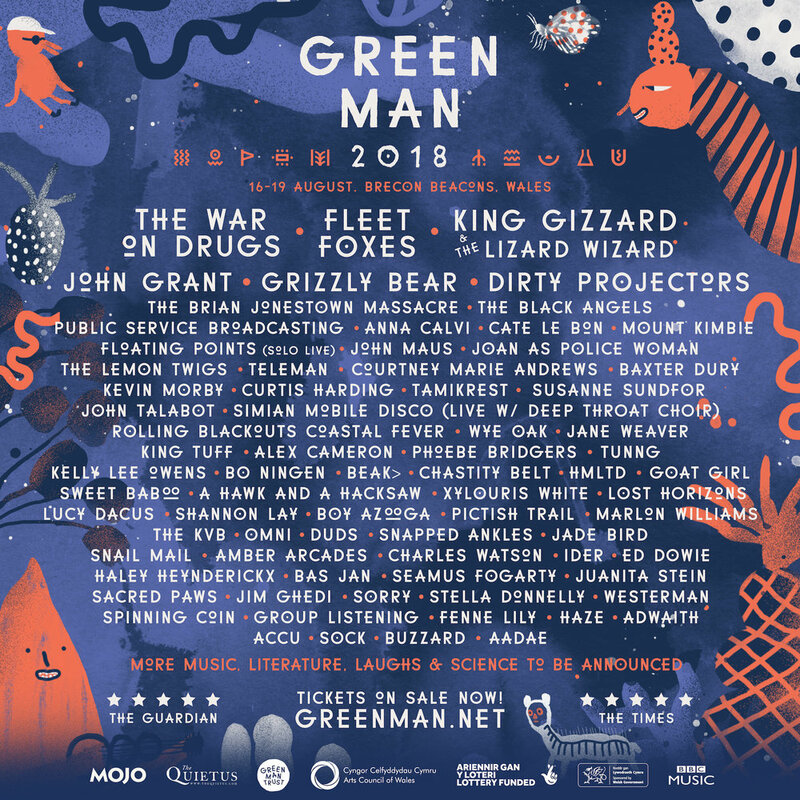 It’s no secret that Green Man is our favourite of all the festivals - and this year’s looks like an absolute belter. I’m looking forward to swigging cider to the sweet sounds of Sweet Baboo, Cate Le Bon, Charles Watson, Sacred Paws, John Talabot, Dirty Projectors, Kelly Lee Owens, Tunng, Jane Weaver, The War On Drugs, John Grant, Brian Jonestown Massacre, Grizzly Bear, Mount Kimbie, King Gizzard and the Lizard Wizard, Snapped Ankles, Fleet Foxes, … yowwwft! What a line-up.